A top grade mechanic with many years of fuel injection training. He has owned and operated his own RACQ workshop in Brisbane for many years. Jamie understands what people are looking for in a mechanic.... from the customer with the classic old car to the customer with the latest model car. Jamie enjoys to give that personel touch, you can really talk to him and tell Jamie exactly what you would like to have repaired. 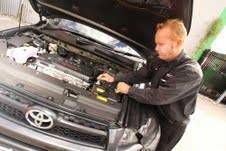 Jamie will also guide you in helping you to understand what your vehicle requires. This is Step by Step car information and Care at its best! All at a fair competitive price. Most of Jamies customers end up knowing what their car needs and when. This means a more reliable and longer lasting vehicle. Today, Jamie owns and operates a large Automotive Workshop at Coolum Beach, employing a Team of professional Mechanics to help YOU with any problems or Service Needs around your Car! If you need a great Mechanic and his Team, who take the time to understand your car's specific issues and who take pride in providing that personal Service.... Talk to Jamie and his Team now! 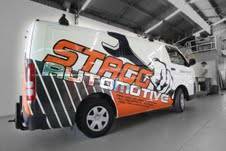 Stagg Automotive is fully insured!